The London Classic Car Show 2017 returns to ExCel in London for a third year from 23rd to 26th February 2017. Last years event attracted a record 33,000 visitors. In 2017 the event promises to be even better with a host of four-wheeled and two-legged motoring superstars guaranteed to warm the blood of motoring enthusiasts of all ages. London Classic Car Show 2017 – What’s on? 2017 marks the 70th anniversary of Ferrari. London Classic car show 2017 will mark the occasion with a celebration of Maranello’s finest supercars. 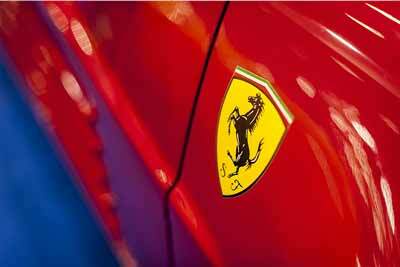 Marking the 70th anniversary of Ferrari road cars, 20 of the greatest cars ever to wear the famous Prancing Horse will be on display at London Classic car show. Among the Ferrari greats, valued at more than £120 million, are a 275 GTB, 250 California, 250 GT SWB, Daytona, Dino, an F40, 250 Lusso, an Enzo plus a revered 250 GTO. The special anniversary showcase has been put together with the assistance of renowned London-based performance car expert Joe Macari. 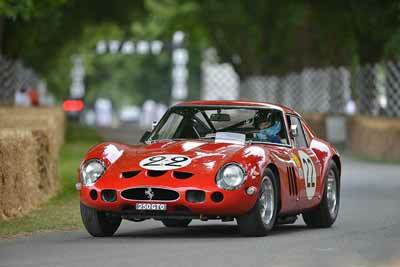 Classic Ferraris won’t be restricted to the 70th anniversary display either. You’ll find Ferrari single-seaters, sports racers and modern supercars elsewhere in the show. Once again the show will celebrate the work of a famous motoring personality. Previous shows turned the spotlight on Red Bull designer Adrian Newey and Gordon Murray, legendary designer of the McLaren F1 supercar. Classic car guru and TV presenter Quentin Willson will be on the Classic Cars magazine stand at the London Classic Car Show to give advice and to pick four classic supercars that are attainable today but which, he thinks, will go stratospheric soon. Quentin, a household name from TV shows such as BBC Top Gear and The Classic Car Show, owns quite a few classics but he also has a knack of finding and buying classics before their values go sky high. 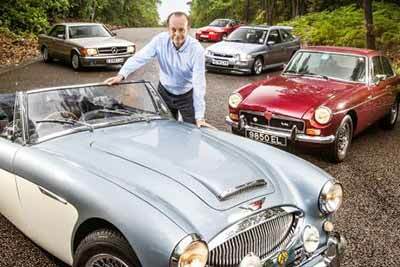 Quentin’s regular ‘Smart Buys’ form part of 16 pages of buying advice in Classic Cars magazine each month. Do you agree? The quartet will be on display on the Classic Cars stand throughout the show. Quentin himself will be on hand both at the stand and in the Supagard Theatre at 1pm on Saturday and 12:30pm on Sunday. Popular features such as The Grand Avenue and Car Club Square will return, bigger and better than ever. The open paddock is new for 2017 and allows visitors to get even closer to the cars. The Grand Avenue, a road running through the centre of the show, allows visitors to see and hear their favourite classic cars in action. Sixty-six of the world’s most intriguing, unusual, exotic and genre defining cars will come under the spotlight on the grand avenue at the London Classic Car Show 2017. Ranging from a 1904 British-built 9.6-litre Maudsley to a Ferrari Enzo built almost 100 years later, they will form one of the show’s central features, The Grand Avenue. Sixty of the cars have been split into 10 different categories to produce a provocative automotive history. These categories embrace the expected, unexpected and the controversial. London Classic car show call them The Perfect Ten. The Perfect Ten categories are saloon, coupé, four-seat convertible, sports car, supercar, hatchback, shooting brake, sports racer, single seater and aerodynamic pioneers. A last-minute surprise extra 11th category joining the Perfect Ten is the Ferrari Tribute. Six of the best Proancing Horse badged cars of all time. Car Club Square has displays from leading classic car clubs and was a hit with car enthusiasts from the very beginning. In 2017, even more clubs will be displaying a range of cars. There will also be a host of top classic dealers on hand with mouth-watering machinery for sale. 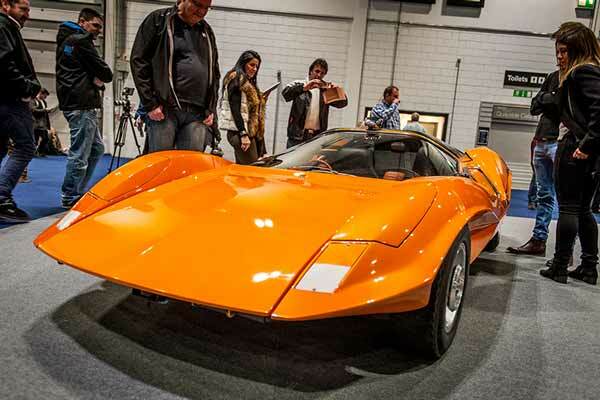 The London Classic Car Show always attracts a large number of motoring celebrities. Previous guests include: James May, Chris Evans, David Coulthard, Jenson Button, Sir Stirling Moss, Ari Vatanen and Jodie Kidd. Expect plenty more big names in 2017. To find out more or to buy tickets for the London Classic Car Show 2017, please visit the organiser’s website. Prices start at £24 for single adult entry (£27 on the door on the day). Please bookmark this page. carphile.co.uk will update this page more information about this show in the countdown to the event.